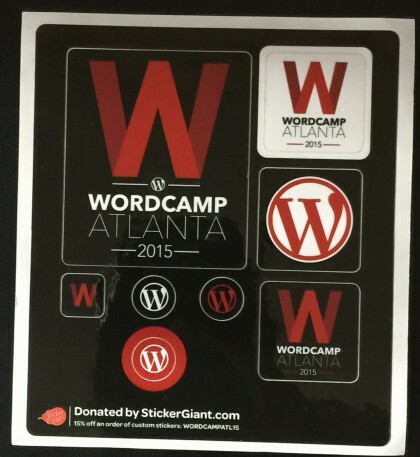 Another WordCamp has come and gone in Atlanta. This was my third year attending the epic event. This year was different for me. I was able to share it with AJ. Having her there made it much more enjoyable although we went with slightly different agendas. Also, AJ is much more social than I am. I met some truly amazing women this year because I was hanging out with her. Each year to prepare for WordCamp I get so excited I usually study the workshop schedule to carefully plan my experience. The past few years the event was structured by learning tracks. This year the tracks included a beginner, a designer, a developer, and a business track. In the past I reviewed all the workshops online and plotted my personal schedule days before the conference. I had everything written out and completed any pre-work (self imposed) to prepare. Yeah, to me, it’s THAT serious. Well, in the past couple of years come Camp day, sessions were cancelled or hours shifted and in the end I was stressed out for no reason. This year I decided to simply go and enjoy the experience. The first year I followed the beginner track even though I technically wasn’t a beginner. I figured because I didn’t do WordPress “professionally” there must be ‘something’ I didn’t know. There wasn’t as far as beginners go. Last year I followed more developer and designer sessions. It was during that time I decided to learn to code and to transition into WordPress development. I was so excited I could barely contain myself as I followed the advice I received on teaching myself to code. This year I’m much more confident in my abilities that I was last year. 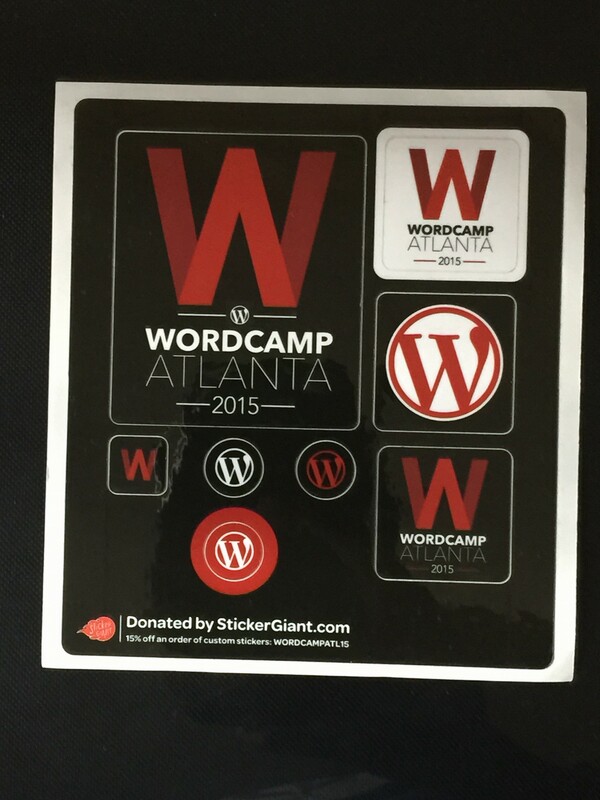 I also now know the WordCamp won’t be my only opportunity to learn something new in WordPress. Finally, and this is a big one…most if not all the sessions are recorded and made available online at WordCamp.TV. That alone took the pressure off. The night before WordCamp, AJ and I touched bases to see if we were ready. This would be her first WordCamp although I tried to get her to go last year. We’d talked about our approach to conferences in the past and found we had similar styles. Neither of us is into wasting a minute of our time. In the end I shared with her my intention to simply be at WordCamp. I had a general idea of what I wanted to focus on learning but I wasn’t rigid about it for a change. This year’s goal was to relax and enjoy the camp. WordCamp is a two day event although they throw in an extra day for beginners and sometimes for children. I only attended the main two days. I also left my computer at home, well, in the car. I took a notebook and my iPad and iPhone. I enjoyed the sessions and recorded the names of sessions I’d watch when the videos became available. The rest of the time I mingled, met with the vendors, and talked to people from all over the country. It was great. I even made it to the Happy Hour with the ladies at the end of the first day. In past years I was so tired by the end of the session I went straight home. I also made off with some REALLY cool swag. I found a good resource for producing and launching websites as an agency of one. I’m in the process of evaluating that one so I’ll let you know how that goes. I received a year of free hosting for my WordPress sites from Siteground which I just recently set up. I got a slew of t-shirts and a really cool crocheted hat from my favorite mail client MailChimp. 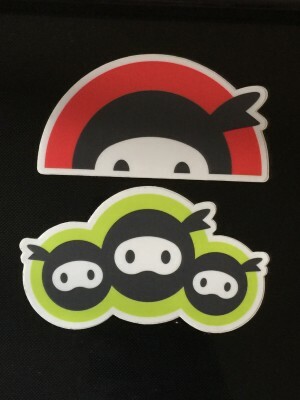 Best of all I got…STICKERS!